As a child we headed west in August, never abroad, it was always a road trip to Wales. Nowadays it’s so easy to leap on a plane that everyone seems to assume that you’ll be heading to the Med’, having a British holiday even has a dreaded label – a “staycation”. Well, our drive from Bristol to Kent certainly took long enough to warrant holiday status and we thankfully enjoyed sunnier climes too, our week in the east was a stunner. We stayed in Whitstable, famed for its oysters and more recently for having a touch of the Islington-on-sea about it. Now it might seem very shallow but I’m perfectly happy to share the place with the D.F.L’s (Down from Londons) since their penchant for the good life means that the town is packed with great deli’s, restaurants, and some rather tempting boutiques too. We spent most of our week pottering around the town, sitting on the beach and being lured into the sea by 8 year old Imi and her little school friend. We did have one big day out to the much-talked-about Margate, just about 1/2 an hour down the coast. This rather dilapidated old seaside resort is firmly back on the map with the re-opening of its Dreamland amusement park and the very cool Turner Contemporary Gallery just along the seafront. To be honest the resort did look a little down-at- heel and deserted when we arrived first thing (the girls had been up since 6 in anticipation), but once we were in (first through the gates!) we had a fab’ time. No queues for well over an hour: dodgems, shelter skelter, carousel, rockets, loads of fun and managed to avoid the few really hideously scary rides. Dreamland has been refurbished with a great retro feel, we loved the high diving display, the staff were incredibly upbeat and enthusiastic and we even found a really good Thai green curry for lunch. Whilst Dreamland doesn’t compete with the likes of Chessington or Alton Towers on the thrill side of things it was simply perfect for younger kids and old crusties like ourselves who would probably have a breakdown on a corkscrew rollercoaster. So thumbs up for Dreamland! We headed for the beach in the afternoon (the sand was the big lure after Whitstable’s pebbles) and Peter and I took turns to visit the Turner Contemporary where I was just mesmerised by the Grayson Perry exhibition – Provincial Punk. His Walthamstow Tapestry is worth the trip to Margate – no photos permitted so get down there before September 13th when the show winds up. Back in Whitstable much of our time, or mine at least, was devoted to the important business of food – no surprises there! We had to dive into some oysters of course; The Royal Whitstable Oyster Company is a glorious location with an incredible heritage and our lunch was fabulous too, even the girls sampled their first oysters. The Cheesebox is unmissable; an entire shop of British cheese, local pickles, sourdough bread, Kentish cider – I could happily move in. DavidBrown’s Deli is another place to fill your picnic basket, or fridge (in fact you could happily graze around the food shops and never cook a thing) Being August, the local plums and cherries were in their prime too, I always think that cherries are pretty hit or miss, these were divine. And then, to top it all, comes the high altar of all things fishy; Wheelers. Yes, the original one- you have to book a table in the little back parlour months in advance (top priority before our next visit) but can thankfully buy prepared seafood such as smoked prawns, dressed crab, fish cakes, jellied eels (I tried to like them, I am so sad but I don’t ….. I Really don’t!) however the prawns were to die for. I couldn’t resist the Wheelers’ cook book – Oyster Seekers (as well as a great collection of seafood recipes there’s some fabulous insight into Whitable’s history and the oyster trade). I’ve chosen to share this Prawn Cocktail in homage to the retro Dreamland, to Seventies summer holidays and all things British. Cook the prawns in boiling salted water for 2-3 minutes, drain & allow to cool , squeezing a little lemon juice over them whilst they are still warm. 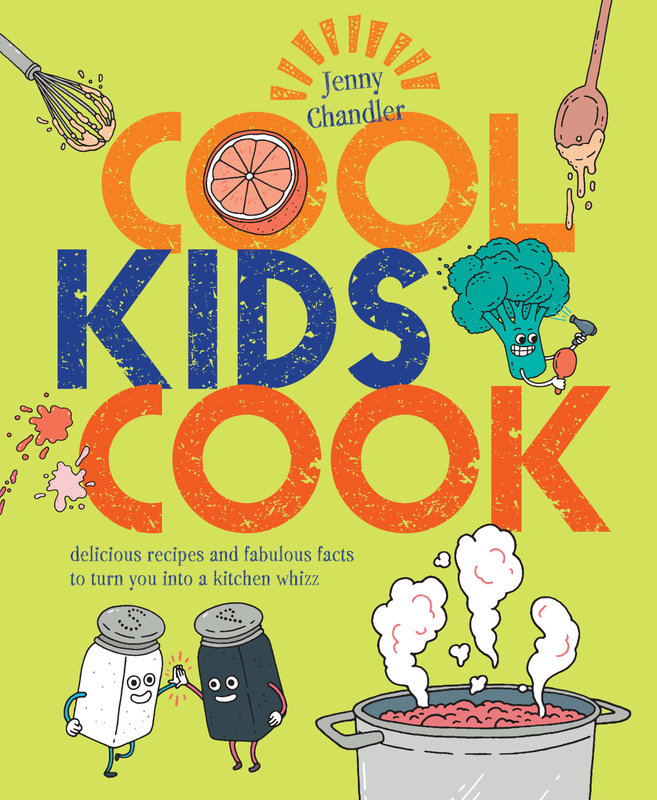 Shred the cucumber into spaghetti -like strips; a mandolin is the suggested tool (if you’ve fallen for the Spiraliser craze, well get on down!) or you could just use a knife. Season with a little salt and pepper. Put the cucumber in a colander to drain away excess moisture. Mix together the mayo, ketchup, horseradish, a pinch of paprika and cayenne , a dash of Tabasco and brandy and add seasoning and lemon juice to taste. Chop up the dill and fold into the sauce. Divide the Cos and salad leaves between 4 bowls (or cocktail glasses – come on give it the 70’s look) and top with some of the cucumber and tomatoes. Pile on the prawns and spoon over some sauce. Finish up with a sprinkle of paprika. 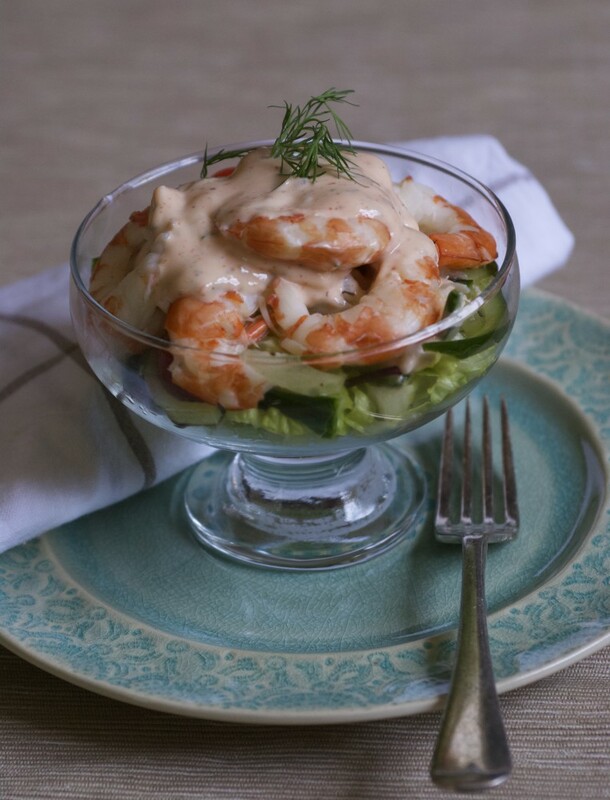 Serve with a lemon wedge and brown bread and butter. Every year we try to get out to Barcelona to celebrate New Year and the arrival of the Kings on January 6th… it elongates the festive season beautifully and gives us a chance to catch up with my “Barcelona Babies” (I au-paired there a shocking 30 years ago) and their wonderful family. We always head for the hills too, to spend a few days with our friends Mercè and Jaume at their fabulous old country home El Folló in the Montseny. I met Mercè years ago when I was researching my first book, The Food of Northern Spain, and was recommended to stay at El Folló and sample some of her fabulous cooking. We had so much in common: a love of travel, of good, honest food without the fiddley-faff and we both really enjoyed teaching. Fifteen years later and we’re very much in touch; Mercè has contributed a recipe to each of my books, brought a group of her students to Bristol and comes over on an English food quest whenever she can, whilst I’ve taken part in the El Folló bread festival, taught in Mercè’s cookery school and still try to visit every year. Above all we’re great friends and both Peter and Imi love to visit just as much as I do. We sometimes hunt for mushrooms in the mountainous woodland behind the house but this year a cold snap meant that there were very few to be found, so we popped down to the Saturday market in a local town, La Garriga, instead. All the usual Spanish market suspects were there (sorry for the rather random photographs, I wasn’t really in tourist mode) – the knife grinder, the stalls of slippers, pyjamas and fancy housecoats, the compulsory selection of extraordinary reinforced corsets, the rotisserie chickens and then all the other fabulous food stuff of course. There were piles of curly endive, the salad leaf of choice at this time of year AND, more importantly, there were calçots. These look like a cross between a spring onion and a leek, but are in fact twice- planted green onions. Calçots have soil pushed up around them as they grow, cutting out the light and encouraging the long, pale and sweet stems. There was no way that we could resist the first of the season. We rushed back home, cleaned off the worst of the dirt, trimmed the ragged tops and then lined the calçots up in the grill racks ready to go on the fire. Over the winter there’s always a fire alight in the hearth where bread, peppers and aubergines are toasted and roasted. We even collected pine cones to lay by the embers to open up in the heat and release their waxy kernels. The calçots charred and cooked over the flames and then we wrapped them in newspaper to sweat and soften. Meanwhile we made the romesco. You couldn’t possibly consider eating calçots without romesco sauce and since you’re unlikely to be finding many of these highly prized alliums outside Catalonia you’ll be pleased to hear that this sauce is equally fab’ with asparagus, tender stem broccoli, grilled spring onions, braised leeks, prawns, squid, lamb and so the list goes on. So here goes for the deliciously nutty sauce. There are so many versions for this sauce but Mercè’s cuts out any frying and seemed wonderfully simple, quick and very, very moreish. Meanwhile roast the nuts until golden and just beginning to smell wonderful, and also bake the whole tomatoes and garlic cloves for about 5 -10 minutes (you’ll probably want to take the garlic out before the tomatoes – don’t let it burn or it will taste bitter). Drain off the peppers and remove any stalks and seeds. Now take a food processor and make a paste of the garlic and the peppers ( or add about 1 tbsp of nyora flakes or 2 heaped tsps of pimetón). Next add the nuts, the tomatoes (skin and all) and work to a thick paste. Whizz in the parsley at the last minute. Work in the vinegar, extra virgin olive oil and salt to taste. The sauce is eaten at room temperature and it’s absolutely sublime. It will keep happily for a couple of days in a jar, covered with a layer of olive oil. If you really want to investigate this very Catalan, sweet onion tradition then the last weekend in January is a great time to visit Valls (near Tarragona) for the annual calçotada. 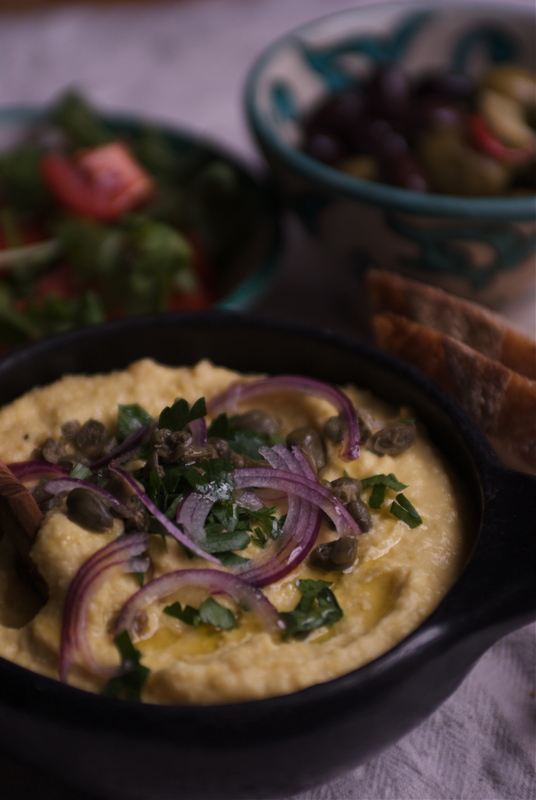 There are so many fabulous hummus-like dips around and yet we seem to be stuck in a rut- don’t get me wrong, I love chickpea puréeé but why not give some of the other legumes a go too. I talked about Moroccan Bessara back in May which I made with fava beans but this month I’d love to share this Greek island fava with you. It is rather confusing as traditional fava is not made with what we know as fava (broad beans) but with split yellow peas instead. I was stirred into action with this one when my mother brought me a packet of the split peas back from her recent holiday in Rhodes. 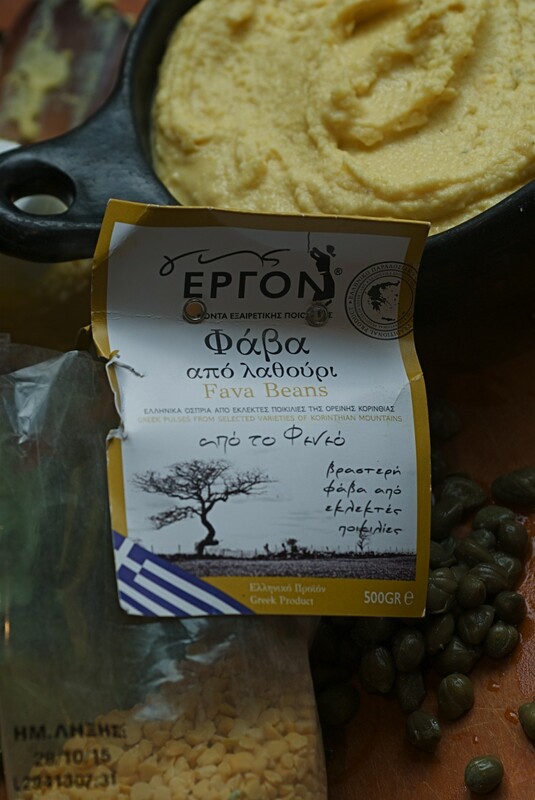 You can use any yellow split pea but if you’re after the real thing you could go to the Ergon restaurant and deli in London or buy their beans on line. We’re having the fava with a few olives, a tomato salad and some bread for a really healthy light lunch but do try serving it with some charred squid or cuttlefish. I met up with cook and nutritionist Lou Marchionne a couple of weeks ago, only to discover that she’s as excited about pulses as I am. Over the years Lou has cooked at so many of Bristol’s most iconic places such as Rocinantes, Bordeaux Quay and now at The Folk House Café on Park Street. So, after lots of excited chat we’ve decided to have a Pulse night on September the 10th at The Folkhouse ……..I’d love you to come along. 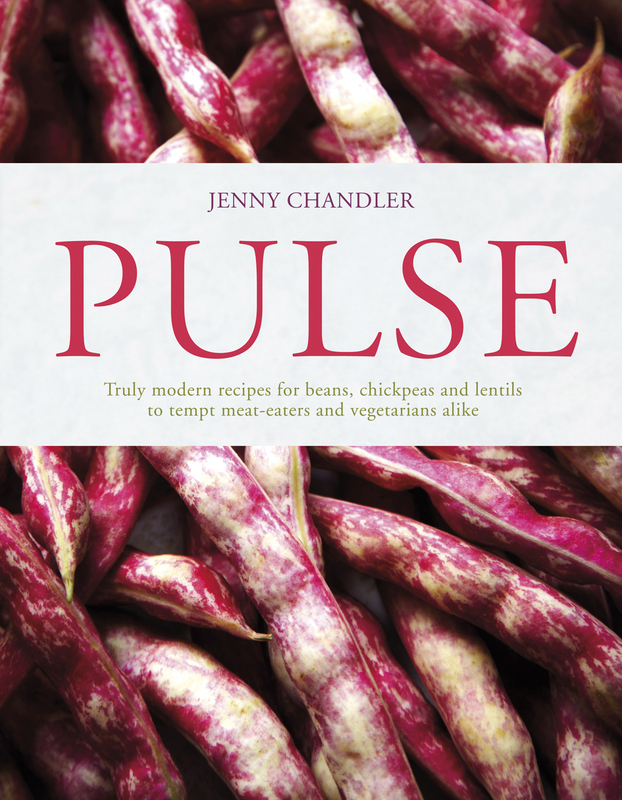 We’re planning an hour-ish cooking demo (using recipes from my book Pulse) followed by a buffet supper of delicious beany dishes – the menu will include chickpea farinata, a zippy Asian style soup, super healthy sprouted bean, fruit and feta salad, a roasted cauliflower, butter bean and wild rice dish and a smokey pork chilli. The idea is to inspire you with the amazing versatility of legumes, Lou will point out their tremendous health benefits along the way and then you’ll get to eat some very tasty food. The tickets are an absolute bargain at £8.50 (you will have a great supper – plenty for vegans, vegetarians and the resolute carnivores) The bar will be open, so a great time to catch up with friends. The evening will last from 18.30 to around 22.00. You can buy tickets HERE. Really hope to see you and your friends. I’ll be selling my book PULSE on the night and matching the Amazon price of £17 (rrp £25) so do bring along a bit of cash (I don’t take cards) if you are planning to buy a book. I’m (just slightly belatedly) wishing you a wonderful 2014 with touch of snowy, winter glamour from the 1930’s. 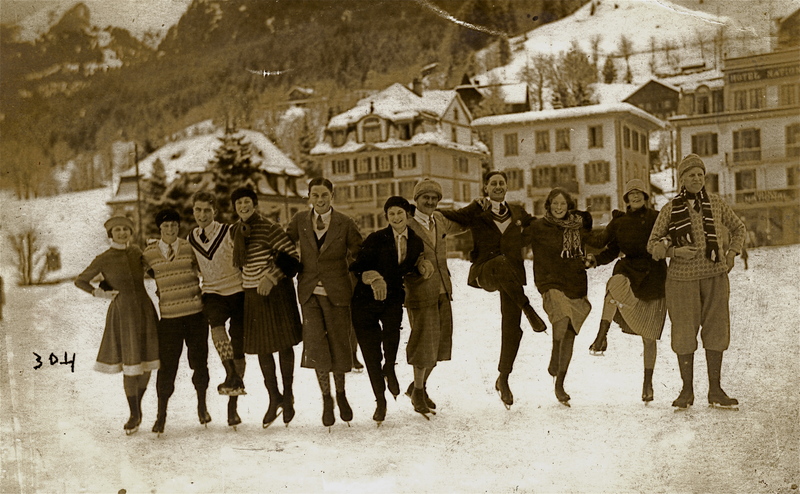 We’ve been pretty holed up in not-so-sunny Bristol so I’ve delved into the album for this fabulous picture of Granny and family skating in Grindelwald, Switzerland. I’ve always loved this photo; Gran (2nd from the left) was evidently going through a tomboy stage, whilst cricket jumpers and plus fours were quite obviously de rigueur for the chaps at the time. I was going to post a mulled wine recipe so as to accompany the picture with a bit of Swiss style but, having faffed around getting down to the writing, it now seems a little unseasonable. It’s probably fine to drink gluhwein on the slopes but it really only seems good for pre-Christmas quaffing back here. My nod in the Alpine direction will be a box of the amazingly delicious Vacherin Mont d’Or cheese. I know that I’ll be sick of all the predictable January detox talk in a couple of weeks time, although right now I’m happily living on wintery, raw vegetable salads and frugal lentils (accompanied with Stilton – everything with Stilton, we only have about 2 kg to go!). But back to the Vacherin which, with just a few minutes in the oven, becomes an almost instant cheese fondue. I’d plump for a French rather than Swiss Mont D’Or (the cheese is produced in a region straddling both countries) as the French version is often unpasteurised, look out for “lait cru”, and the cheese has much more tang. The small 1lb /450g ish cheese comes in it’s own little wooden box, rather like a Camembert minus the waxy wrapping paper, since in this case contact with the spruce container flavours the cheese as it matures. So you’re ready to go, no washing up, you already have the box to heat up and serve the cheese in. So, fire up your oven to around 200ºc /Gas Mark 6 . Slice up a clove of garlic. Take the lid off the box and make a few slits in the top of the cheese, slip in the garlic and splash with a few drops of wine. You could add a few fresh thyme leaves now too. Put the cheese in the pre-heated oven for about 15 minutes and then bring to the table and devour. This is seriously moreish but with plenty of good bread, some new potatoes (I love Anya or Pink Fir Apple) and maybe a few cornichons to dunk and dollop it will make an indulgent starter for 4, or a serious blow-out for 2. Lie back and watch your cholesterol hit the roof – you could always have a great big green salad to follow.